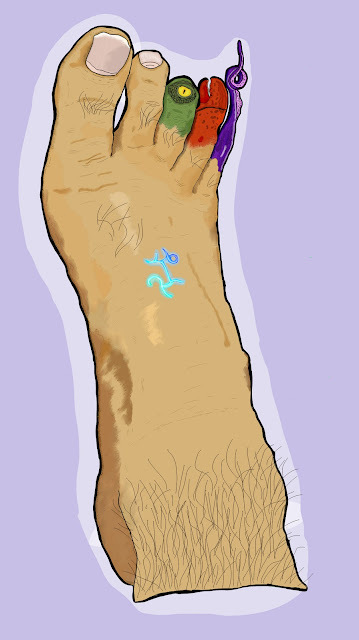 Art Kinda By Me: I used a photograph of my own foot to create a basic outline. I then added details and color to create a new piece. Since the photograph is of my own foot, and I gave myself permission to use said photograph, no one is getting cheated out of the money that is due to them. This is the final pic for my upcoming post about Glyphs/Sigils. As always, let me know what you think.